I love fresh Ahi tuna and when paired with mangos, avocados and mixed greens there is no stopping me. 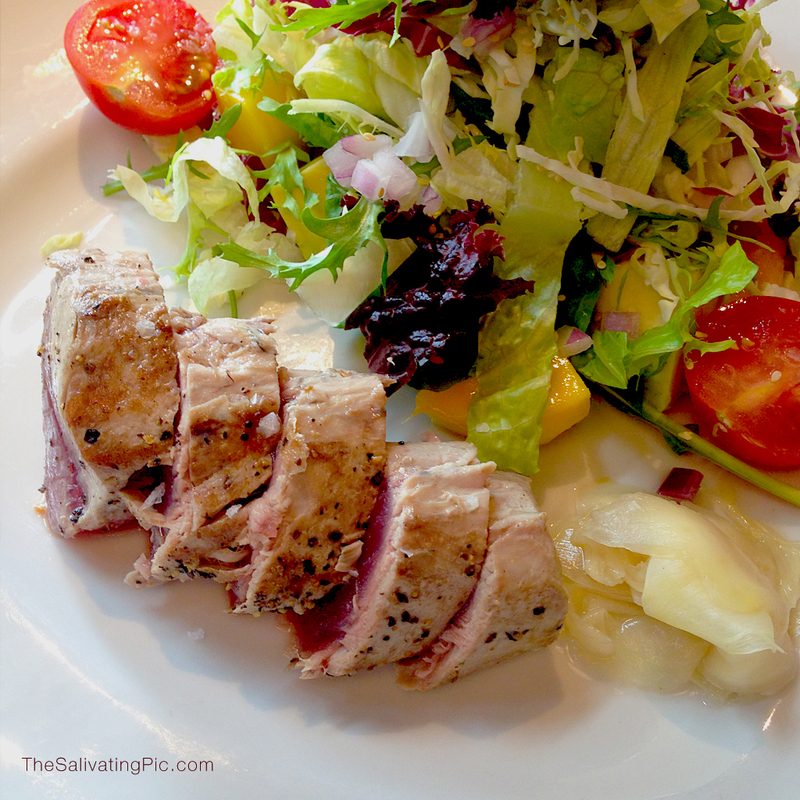 Hailstone makes a very good Sashimi Tuna salad that’s perfectly seared and fresh. I always enjoy my lunches here and this delicious salad always fits the bill. Next Post How to End National Taco Day? Interesting combination of ingredients. I’ll check it out. I think you would like it. I would get the dressing on the side. They really put allot on it. But it’s sooooo good.